The increased theoretical sophistication, broadened scope, and methodological precision provided by the developmental approach serve to highlight the vastness of the endeavour and the difficulties that are inherent to understanding persons with intellectual disabilities. Within this context, persons with intellectual disabilities must always be considered within the context of their aetiology and developmental level, and in many cases with regard to social, behavioural, emotional, familial, and/or environmental factors. And, the confluence of all these factors must be further considered with regard to the intricacies of the ever changing real world. Thus, the increased specificity of knowledge highlights the futility of attempts to generalise findings across the heterogeneous group that we refer to as persons with intellectual disabilities and clearly the notion of a single grouping or field of research under the title of "intellectual disabilities" seems meaningless. Yet, this is not a call of despair. Rather, the goal is to promote the vision of research of increased precision that has its origins in 19 th century writings by pioneers of aetiological-specific research, such as Langdon Down and William Wetherspoon Ireland, and in 20 th century writings by developmental theorists, including Heinz Werner, Edward Zigler, Dante Cicchetti, and their colleagues who promoted the interface of developmental psychology and the study of intellectual disabilities. This approach finds fruition in the 21 st century sophistication of experimental technology and empirical methodology in the study of genetics, brain functioning, behaviour, social and interpersonal functioning, and emotional well-being, as well as in the study of the relations among them. The emergence of these increasingly precise approaches to research resonates particularly strongly with the advocates of the more fine-tuned developmental approach with its emphasis on aetiology- and age-specific research within the context of individuals, their families, and their environments. Through this synergy, the key to understanding the heterogeneous group of persons who fall under the diagnostic heading of intellectual disabilities is a bottom up process with small but fine-tuned and precise empirical "stories" rather than a top-down process with bigger and more general but flawed accounts. In this article, we briefly review essential theoretical, methodological, and interpretative contributions of the developmental approach and attempt to forge a framework for research in the field of intellectual disabilities, as well as of Down syndrome, and to reflect upon how the field of intellectual disabilities research has contributed and transformed the understanding of general developmental processes. The study of cognitive and neuro-cognitive functions or abilities may best highlight the contributions of the developmental approach to intellectual disabilities. These types of functions were the singular focus in the first few decades of scientific research on intellectual disabilities, when most empirical work in the field was characterised by a race to identify the deficit that was the primary cause or marker of reduced intellectual functioning. Those who undertook this frantic search emphasised broad constructs of cognition that were considered to be essential across all domains of cognitive functioning, including cognitive rigidity, memory processes, discrimination learning, and attention, among many others (for a review, see ref 11 ). With the use of sophisticated experimental paradigms, researchers presented compelling evidence of deficient performance in virtually all of these areas of functioning. Each specific defect was touted as the central cause of intellectual disabilities. Unfortunately, the studies were "fatally" flawed as researchers failed to consider essential and obvious conceptual and methodological issues such as the multiplicity of aetiologies associated with intellectual disabilities, the uniqueness of each with regard to phenotypic expression, the inherent differences in developmental level of functioning between persons with and without intellectual disabilities of the same chronological age, and the non-cognitive factors related to life experiences that are associated with cognitive performance. In critiquing and debunking the various claims of the defect theorists, Zigler and colleagues (e.g., refs 6,7,8 , 12 ) introduced a conceptual approach to intellectual disabilities that would be based on classical developmental theory and would revolutionise the way people with intellectual disabilities were viewed and studied. The developmental story for persons with intellectual disabilities associated with organic aetiologies was less clear. Consistent with the universal approaches of traditional developmental theory, they were found to consistently traverse the sequences of development for Piagetian and other cognitive tasks in the same order as was evident among persons with intellectual disabilities with a familial source and among typically developing children (for a review, see ref 19 ). However, the organic insults were expected to be associated with structures of horizontal development, the relationship across areas of functioning, that were different form those of typically developing persons, so that general indicators of mental age would not necessarily be associated with level of functioning in specific domains [ 20]. Yet, even here the notion of meaningful development was not abandoned as developmental theorists advocated for meaningful relations across domains of functioning, even when the levels of functioning seemed discordant. For example, Cicchetti and Pogge-Hesse argued that specific examples of organic aetiology provide unique opportunities to expand the study of development as they can be viewed as testing the limits of developmental organisation [ 21]. Furthermore, the slower pace of development and the discrepancies across domains of functioning that are evident among persons with Down syndrome or other specific aetiologies were cited as unique opportunities to examine the synchronies and asynchronies in development and the extent to which the convergence of aspects of functioning in typically developing persons are real or happenstance [ 22,23]. Accordingly, the notion of local homologies [ 24], the relationships over time across tasks that require common underlying capacities, was borrowed from the study of development and applied to the study of persons with intellectual disabilities associated with organic aetiologies [ 5, 25,26]. Within this framework, even apparently discordant performance across domains can be considered within the context of an organised developmental system. 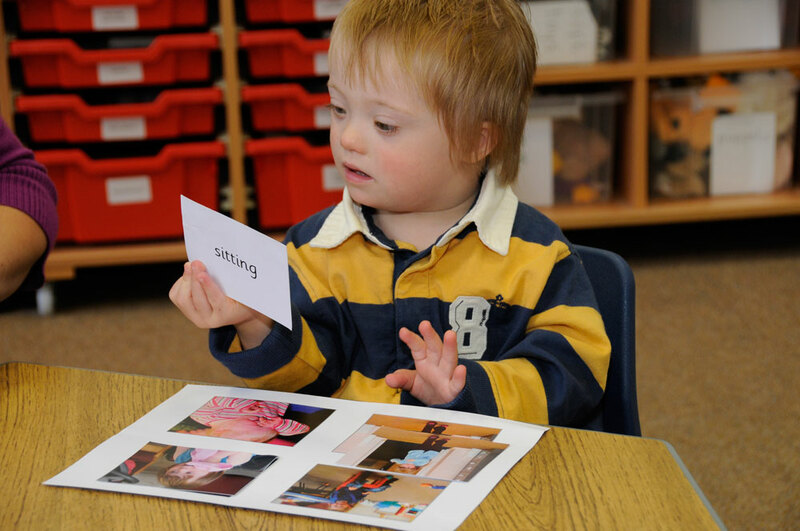 As with many of the other areas of scholarship in the developmental approach to intellectual disabilities, the techniques for matching by developmental level continue to be discussed and developed, and are continuously fine-tuned (e.g., refs 28, 30-33 ). Among others, Loveland and Kelley and Burack et al., highlight the need to utilise matching is linked to the development of abilities that are pertinent to the specific function or task [ 28, 34]. This strategy minimises the chances that differences in performance between the groups might be an artifact of a specific relative strength or weakness displayed by one of the groups in the area of functioning related to the experimental task (for a related discussion, see ref 24 ). In order to further reduce the risk of confounds arising from a priori group difference, Mervis and colleagues call for rigorous statistical test criteria in the matching of groups [ 30,31]. With all this increased sophistication in the methodological approaches to matching, the clear conclusion is that the complexity of the developing organism precludes a single perfect approach to comparing across groups of persons. Rather the goal is to simply utilise strategies that minimise the likelihood that the primary findings are associated with obvious confounds. As the influence of the developmental approach in the study of intellectual and other developmental disabilities increased dramatically by the end of the last century (see ref 39 ) and into the new one [ 4], the complexities of understanding developmental trajectories of specific aetiological groups was emphasised conceptually [ 29, 35, 40,41] and across areas of research. For example, both Burack, Evans, Klaiman and Iarocci, and Cornish, Scerif and Karmiloff-Smith argued that the study of attention among persons with developmental disabilities needs to be considered within the context of specific aetiology, specific aspect of attentional functioning, specific developmental level, and of changes over time [ 9, 37].